Eggs for one please! 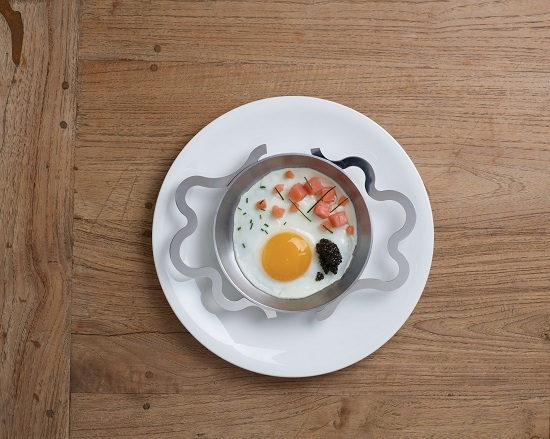 This charming two handled egg pan is designed by Italian architect and designer Alessandro Mendini and makes perfect eggs for one! Thanks to its lid, the eggs are cooked in the most efficient way possible. It offers the pleasure of eating whatever is cooked in it directly out of the pan: an act that celebrates a folk tradition that is simple yet full of meaning! Tegamino makes any meal a celebration of contentment in the simple pleasures of the singular. 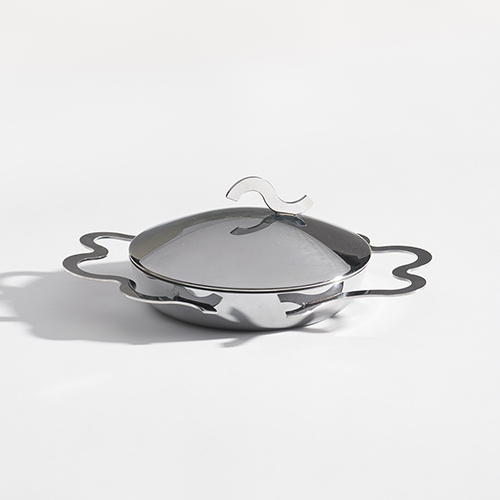 An efficient,beutifully designed pan to cook, serve and eat from!